Talk about Spring making an entrance in the wee hours this morning! We had a crazy storm here in Northwest Georgia last night that brought heavy rain, strobe lights of lightening, gusting winds and hail, and a loss of power until about 5:00 this morning. I must say, the weather this year in Georgia has been as bipolar as the Texas weather I remember. But, you know what they say! April showers are suppose to bring May flowers. Except it’s March, and it looks like Mother Nature has gotten a little impatient this year. With all the rain that we’ve had this month I’m hoping we’ll see some blooms starting in April! Although Fall and Winter will always be my favorite half of the year (at least in the South! ), the thought of Spring and sitting outside on my front porch with a cup of coffee watching everything turn green again is getting me excited. I may (just maybe!) transform into a plant lady. Who knows! I now just need to figure out how to keep plants alive. In the meantime, I’ll stick with decorating with faux greenery in hopes of bringing the fresh spring vibes indoors. 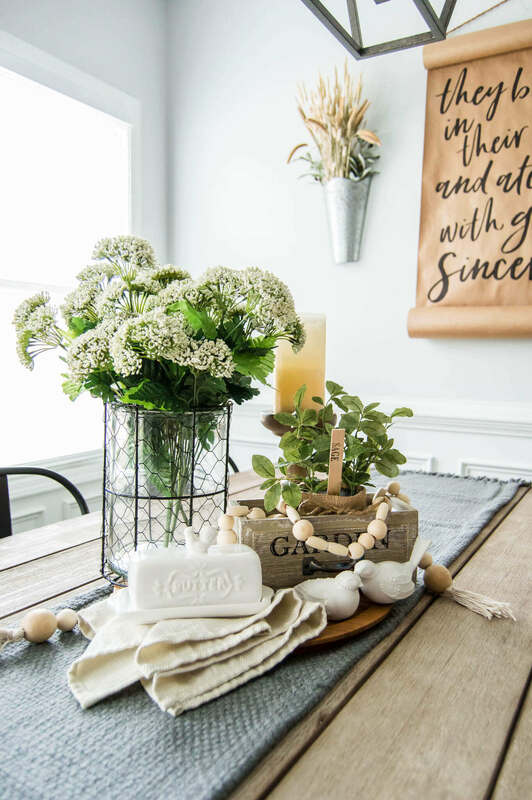 If you’re looking to decorate your table with a simple yet darling centerpiece this Spring, I’ve got the perfect inspiration for you here on the blog today! 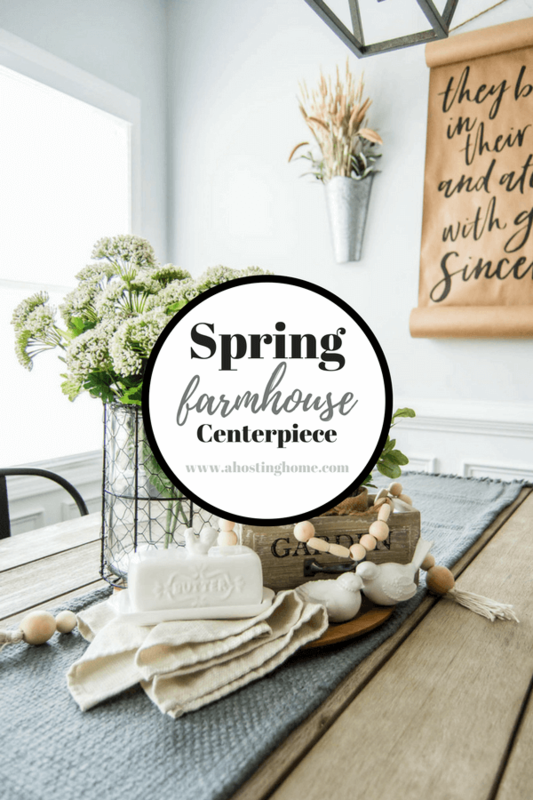 With the gorgeous weather in between all the rain, we got a head start on Spring by bringing the fresh green Spring vibes indoors with a new centerpiece for our farmhouse table. As much as I loved that cotton stem garland that I had on the table since we moved in this past fall, it was time to change it up. I really wanted to give this space a refreshed look that channeled all things spring and my love for farm-to-table cooking. I can’t wait to hang up the most darling curtains I ordered next. (Hopefully I’ll get them delivered by next week!) They really tie the scroll, the table, and the rest of the space together perfectly. You’ll have to stay tuned to Instagram for a sneak peek of when they come in! I’ll definitely be blogging some curtain hanging hacks soon. 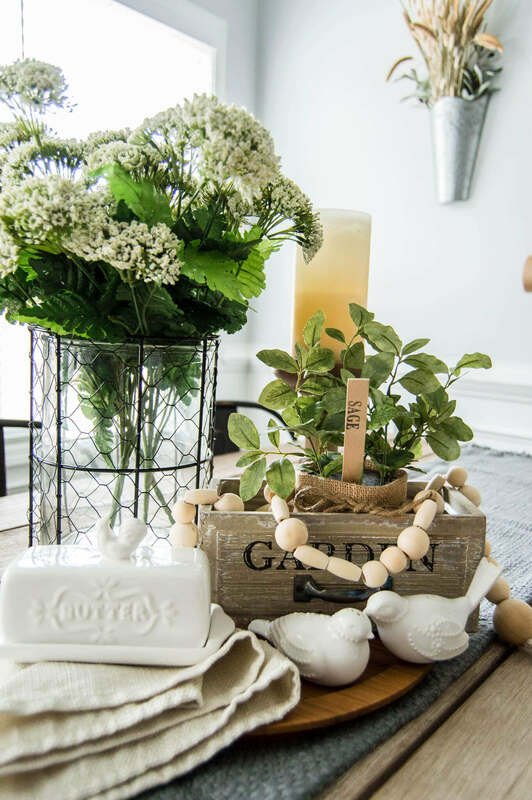 Meanwhile, I also wanted to brighten up our home this spring with white floral and some greenery while leaving more room on the table for serving dishes and entertaining. 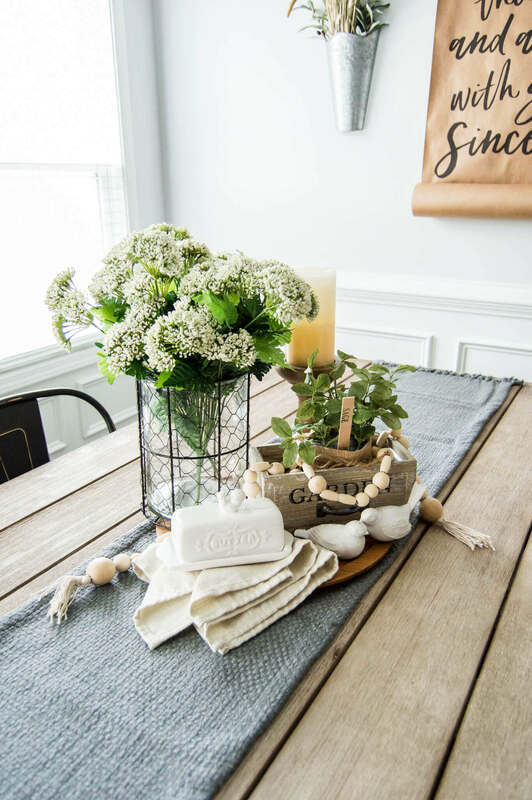 I did this by swapping out my cotton stem runner for this grey basket weave table runner from Target and styling together some new small decor pieces I bought from At Home in their seasonal garden / decor section. I love mixing textures and materials, and I absolutely love how it turned out. 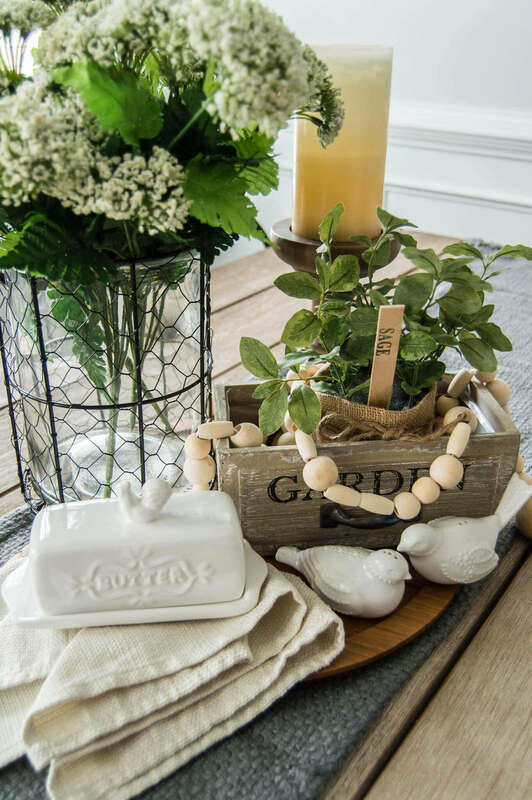 For example, those elegant Lenox French Perle salt and pepper shakers paired with that milk glass butter dish gave almost that french country look that I love so much! Not to mention, that DIY wood bead garland really completed the look perfectly. 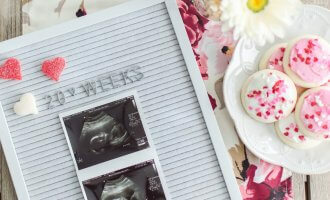 I get so many questions on how I made my own (for under $10!) So make sure to check out how you can make your own in the linked blog post tutorial below! 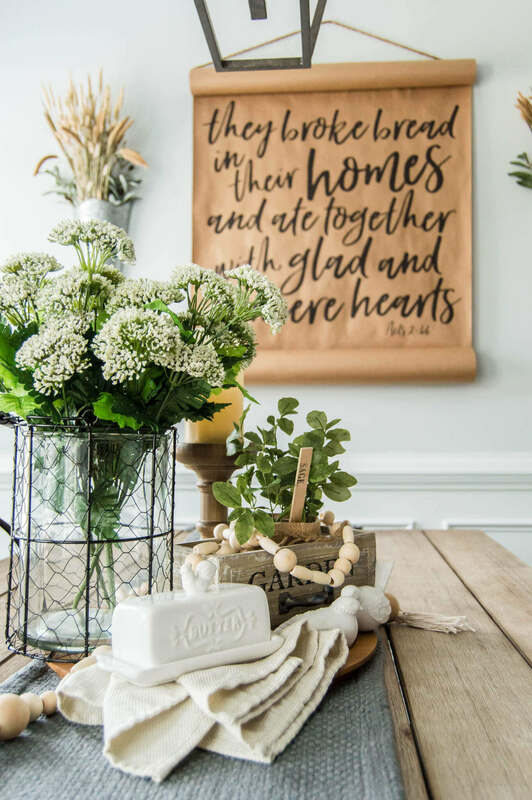 With Spring officially here, I hope you’re just as inspired as I was to refresh your space and bring the spring vibes indoors. If you’re more of a plant lady than I am, this centerpiece would look even better with real floral and greenery! Get a similar look for your own dining room table by shopping my affiliate links below. Tell me! 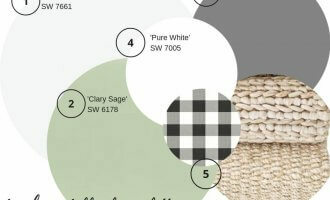 How are you dreaming of bringing the spring vibes into your home this Spring? Let’s inspire one another! Thank you so much, Nicholle! and congratulations on moving into your beautiful new home. I am so glad that I was able to inspire you 🙂 I just know your home is going to be gorgeous! That centerpiece is gorgeous! 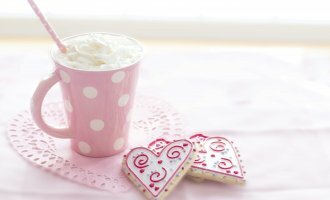 You have excellent taste and your home looks amazing. Bring on spring! I love the scrollwork art you have displayed! Thank you, Marta! It is absolutely my favorite piece of artwork that I have purchased. I ordered it from an Instagram friend, Cottonwoodshanty! 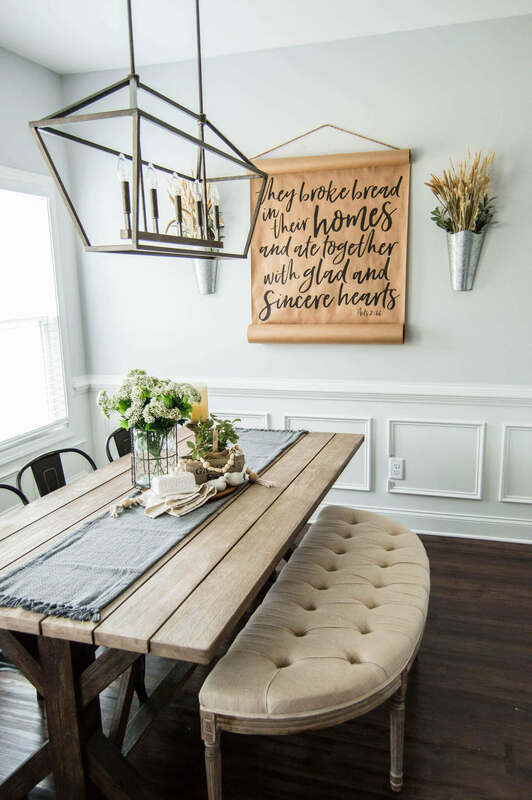 I am in love with not just the centerpiece but your entire dining room! i have a beautiful farmhouse table and there is never anything on it because I couldn’t figure out how to decorate it how i wanted but you’ve given me some great ideas! I love the farmhouse style. Unfortunately my house is so ECLECTIC! 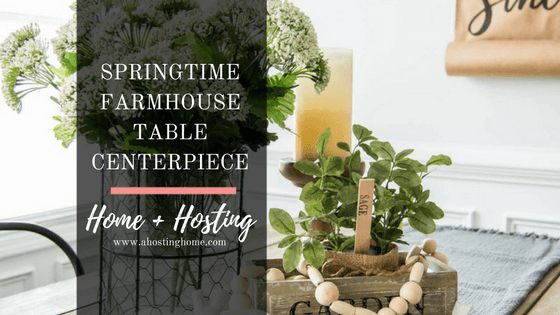 i like the idea of your farmhouse table instead of the same old eggs and bunnies theme. This center piece is so my style! 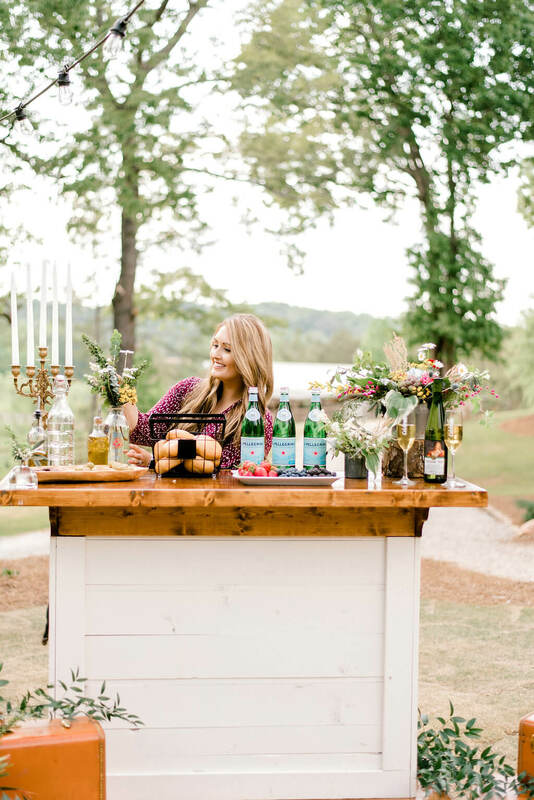 I love the farmhouse chic look! Super cute! I love the mix of greens and wood accents. Okay This totally inspires me. I wish I had a dining table!! 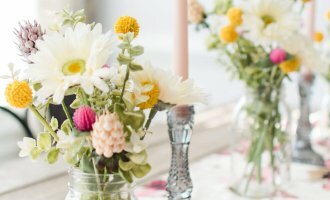 What a beautiful centrepiece, lovely and bright – I’m in love with your dining room! You have such a gorgeous dining room. That centerpiece is so pretty. This is total goals. I absolutely love this! 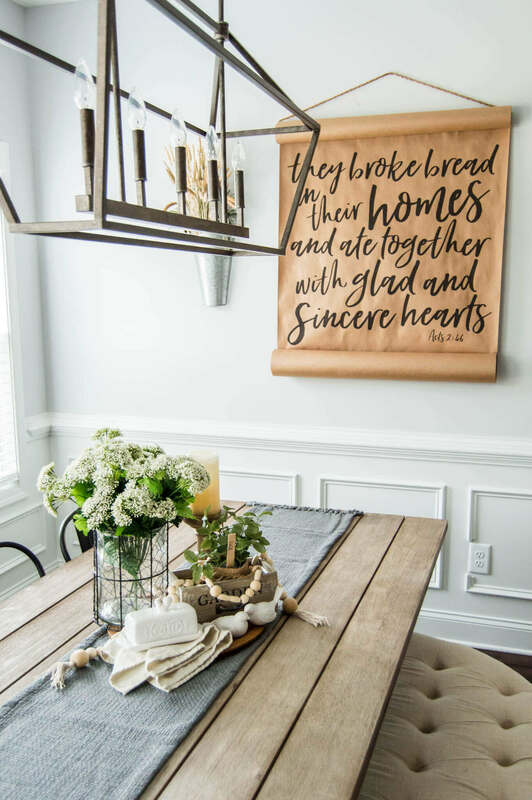 Your whole dining room is adorable. I’m a huge fan of the farmhouse look. You have a beautiful home and that center piece is so pretty. You are an artist.